Add some Stinky Ginger Spice to your life! 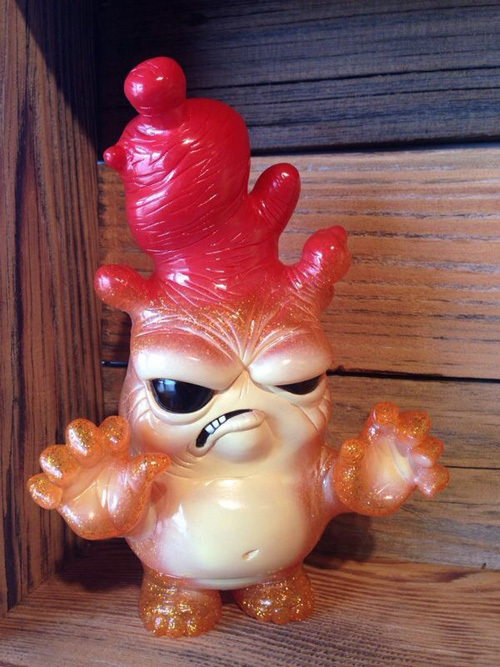 Time to add a bit of spice to your life with Chris Ryniak’s Stinky Ginger- Golden Spicy colorway. This grumpy little lady has even more sass now in this new glittery spicy colorway that will set your taste buds on fire. Another delicious treat from the Tomenosuke x Circus Posterus Sofubi line, it is limited to only 60 signed and numbered servings. She is available now in the Circus Posterus store here!